Our goal at Mint Dentistry is to help you achieve your best smile possible through the professional cosmetic dental services we offer. From lumineers to dental veneers, our dentists will restore your teeth to their natural beauty. We take pride in being an environmentally conscious dental practice. Our equipment reduces waste and pollution, saves water, energy, money and other natural resources. A proactive approach towards oral health can often directly impact your overall well-being. We offer a range of dental services from cleanings to root canals. We also have a periodontist ready to help with more severe cases. Because we care, we are now providing non-HMO Medicare dental services. Call us for details or contact us online to learn more. Mint Dentistry is proud to announce that we are now preferred providers for Active & retired military personnel. It's suggested that every patient visit their dentist on a bi-annual basis for routine teeth cleaning, polishing, tartar removal and general dentistry procedures. Our Woodland Hills dentists will help you achieve your best smile possible through the professional & powerful cosmetic dental services we offer. It is our goal at Mint Dentistry of Woodland Hills is to make sure you feel comfortable with the oral surgery procedures we offer. Our number one priority is your oral health. From the moment you contact our team for your first appointment you'll experience nothing short of exceptional and compassionate care at Mint Dentistry. We understand that a visit to the dentist's office can be very uncomfortable for many people. This is why we take several measures to ensure you are comfortable and at ease during every office visit. We listen to you – and address your individual concerns to verify that you are completely comfortable during your visit to the Mint Dentistry. Mint Dentistry, Woodland Hills dentists located on Ventura Blvd. For several years, the professionals at Mint Dentistry have offered quality-driven dental services to patients in Woodland Hills and surrounding cities in the Los Angeles metro area. 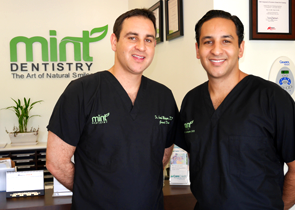 Led by Arash Molayem, DMD and Shervin Molayem, DDS the Woodland Hills dentists at Mint Dentistry offers General Dentistry, Cosmetic Dentistry, Periodontist and Orthodontic services. From standard teeth cleaning, to advanced Endodontics and Wisdom Tooth Extraction, Mint Dentistry is dedicated to delivering superior dental care; to every patient – every day. Your complete comfort is a top priority for the team at Mint Dentistry. If you have any questions about the quality-driven dental services we offer, or to set up an appointment, call us today at (818) 716-0297 or simply fill out the contact us form online. Seeing is believing! Our Woodland Hills dentists are thoroughly trained in the trade, perfecting their technique because of their passion to stay ahead of the curve. Browse our office from beginning to end to get a feel for what to expect at Mint Dentistry of Woodland Hills. Our Woodland Hills dentists accept many types of insurance. We also offer different payment plans including CareCredit®. "Wonderful staff and dentists in Woodland Hills. Getting dental work completed is never fun, especially when you have a sweet tooth like me. However, the staff and dentists here are absolutely great. They always make sure you are comfortable and provide you with a full explanation of what is needed based on your individual dental needs." - Alex M. on Yelp! "Seriously this place has THEE BEST PRICES and the Dr and nurses are just straight up excellent! It is so affordable with my healthcare coverage! I was so scared to do a root canal, i grew terrified of the dentist. But after waking up from the procedure i did not feel a thing! I am coming back!" - Jonathan A. on Yelp! "Best dentists I ever met, both are great at explaining treatment thoroughly before patients get any treatment done, they both are passionate about what they do,they build great patient relations and i recommend Mint Dentistry in Woodland Hills to everyone!!" - Brian P. on Yelp! "The people who work there are incredibly nice and attentive. I came here for a filling and Dr. Molayem was very caring and was very informative. I will continue to be coming to Woodland Hills for any type of dental work." - Alexandra P. on Yelp! "I love mint denistry. The receptionists are superfriendly and very cool. The office is very clean and nice. My dentist is the best I have ever had.i had a deep cleaning and cavities. He is gentle, made me feel very comfortable was fast and told me step by step what he was doing. He is a perfectionist. He does amazing work. Thank you dr. arash molayem!" 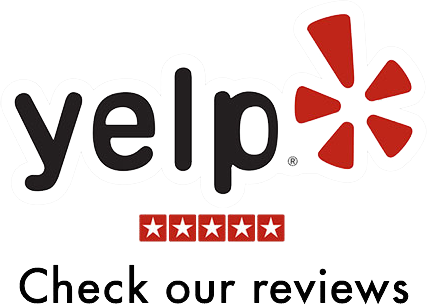 - Leah F. on Yelp! "First off, I would like to thank Mint Dentistry in Woodland Hills for taking good care of me. I recommend them to anyone who is currently looking for a new dentist. They have great costumer service. Very professional, very humble & very clean. They make you feel welcomed, which is one thing that I loved most about them. Thank you to Dr. Arash for taking great care of me & I'm looking forward for my next visit." - Daniel M. on Yelp! "Serious props to Dr. Molayem on his swift and flawless work! He just did 3 cavity fillings on me and I could not be more pleased! Dr. Molayem is on top of his game - he did the 3 filling - taking his time to perfect each tooth. His work process is extremely professional, detailed, and careful, while also being swift - he did 3 fillings in less than 90 minutes, with no pain and one of my cavities was close to a nerve - that said, he went thru the extra steps to avoid any discomfort and for this I will keep coming back to Woodland Hills for all of my dental care - because Dr. Molayem and the friendly staff at Mint Dentistry do not just go thru the motions of caring for your teeth, they truly make your trip to the dentist flat out enjoyable!" - Brandon K. on Yelp!